Natura Bisse Diamond Mist keeps your skin protected and ready for anything! The light texture absorbs quickly into skin to provide hydration, generate cell growth, and protect skin from harmful environmental factors. Pea extract gives skin firmness and elasticity. 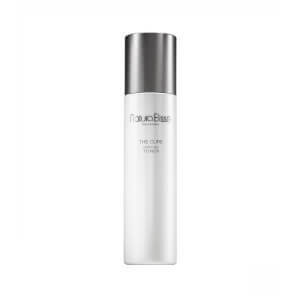 The Diamond Mist prepares skin for any treatment and gives it a boost of energy. Ideal for those who desire healthy, youthful-looking skin. As a pre-treatment, spray on face, neck and decollete and gently massage until completely absorbed. Then spray again and perform gentle pinching maneuvers to activate micro-circulation and enhance the effects of any treatment applied subsequently. As a makeup seal, spray on face after makeup application and blot any excess with a tissue. As a refresher throughout the day, spray on face anytime for a refreshing feeling and to restore healthy glow. Water (Aqua), Xylitylglucoside, Glycerin, Anhydroxylitol, Pisum Sativum (Pea) Extract, Artemia Extract, Xylitol, Sclerotium Gum, Caprylyl Glycol, Menthyl Lactate, PEG-40 Hydrogenated Castor Oil, PEG-6 Caprylic/Capric Glycerides, Triethanolamine, Disodium EDTA, Potassium Sorbate, Chlorphenesin, Phenoxyethanol, Methylparaben, Ethylparaben, Butylparaben, Propylparaben, Fragrance (Parfum), Lavandula Hybrida Oil, Linalool, Coumarin, Amyl Cinnamal, Red 4 (CI 14700).